The CFDA Lab (Computational Finance and Data Analytics Laboratory) and CLIP Lab (Computational Linguistics and Information Processing Laboratory) work together under the co-supervision of Dr. Chuan-Ju Wang and Dr. Ming-Feng Tsai. The CFDA Lab is located at the Research Center for Information Technology Innovation, Academia Sinica, Taipei, Taiwan. The CLIP Lab is located at the Deparment of Computer Science, National Chengchi University, Taipei, Taiwan. 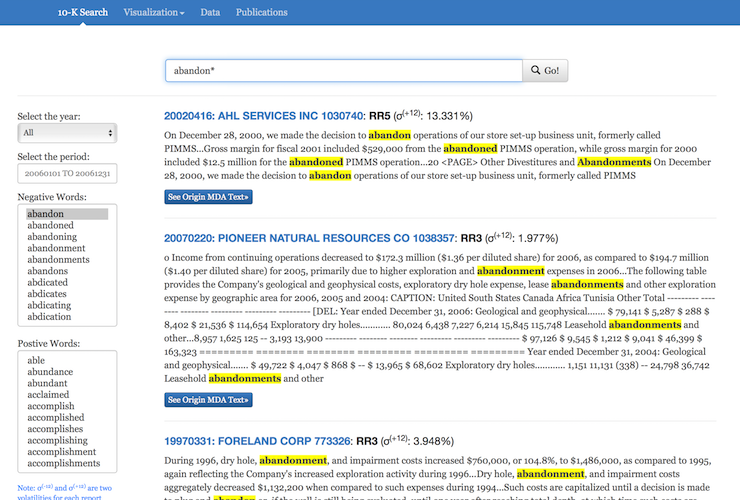 Our research interests lie at the intersection of computation, intelligence, finance, and linguistic. 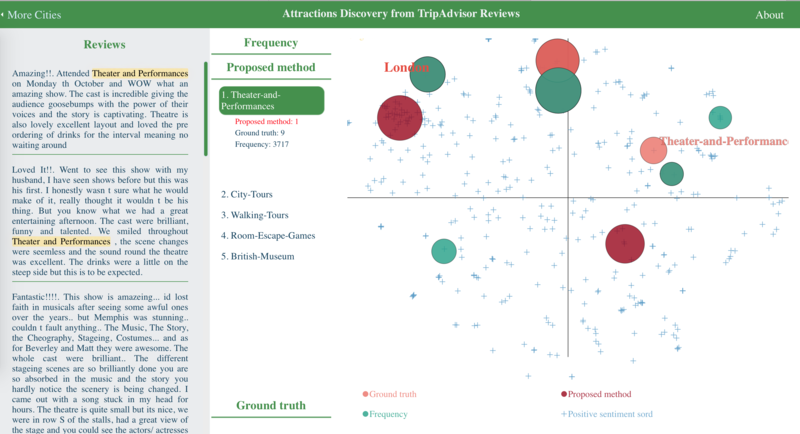 In addition to research-oriented work, we aim to develop interactive information systems that could be used to examine the practicality of the proposed methodology, and to present the experimental results via data visualization techniques. Collaborative Similarity Embedding for Recommender Systems, Chih-Ming Chen, Chuan-Ju Wang, Ming-Feng Tsai and Yi-Hsuan Yang. Going to present at The Web Conference 2019. NavWalker: Information Augmented Network Embedding, Kwei-Herng Lai, Chih-Ming Chen, Ming-Feng Tsai, and Chuan-Ju Wang. Presented at IEEE/WIC/ACM WI 2018. Superhighway: Bypass Data Sparsity in Cross-Domain Collaborative Filtering, Kwei-Herng Lai, Ting-Hsiang Wang, Heng-Yu Chi, Yian Chen, Ming-Feng Tsai, and Chuan-Ju Wang. Presented at ACM Recsys 2018. 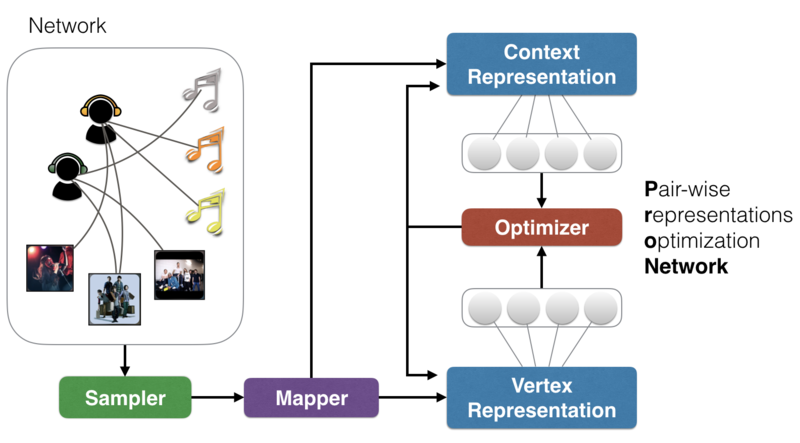 Representation Learning for Image-based Music Recommendation, Chih-Chun Hsia, Kwei-Herng Lai, Yian Chen, Chuan-Ju Wang, and Ming-Feng Tsai. Present at ACM Recsys 2018. Query-based Music Recommendations via Preference Embedding, Chih-Ming Chen, Ming-Feng Tsai, Yu-Ching Lin, and Yi-Hsuan Yang. Presented at ACM RecSys 2016. Music Playlist Recommendation via Preference Embedding, Chih-Ming Chen, Chun-Yao Yang, Chih-Chun Hsia, Yian Chen and Ming-Feng Tsai. Presented at ACM RecSys 2016. Exploiting Latent Social Listening Representations for Music Recommendations, Chih-Ming Chen, Po-Chuan Chien, Yu-Ching Lin, Ming-Feng Tsai, and Yi-Hsuan Yang. Presented at ACM Recsys 2015. Music Recommendation Based on Multiple Contextual Similarity Information, Chih-Ming Chen, Ming-Feng Tsai, Jen-Yu Liu, and Yi-Hsuan Yang. Presented at IEEE/WIC/ACM WI-IAT 2013. Using Emotional Context from Article for Contextual Music Recommendation, Chih-Ming Chen, Ming-Feng Tsai, Jen-Yu Liu, and Yi-Hsuan Yang. Presented at ACM MM 2013. UGSD: User Generated Sentiment Dictionaries from Online Customer Reviews, Chun-Hsiang Wang, Kang-Chun Fan, Chuan-Ju Wang, and Ming-Feng Tsai. Presented at AAAI 2019. Text Embedding for Sub-Entity Ranking from User Reviews, Chih-Yu Chao*, Yi-Fan Chu*, Hsiu-Wei Yang, Chuan-Ju Wang, and Ming-Feng Tsai. Presented at ACM CIKM 2017. ICE: Item Concept Embedding via Textual Information, Chuan-Ju Wang, Ting-Hsiang Wang*, Hsiu-Wei Yang*, Bo-Sin Chang, and Ming-Feng Tsai. Presented at ACM SIGIR 2017. Keyword Extraction with Character-level Convolutional Neural Tensor Networks, Zhe-Li Lin and Chuan-Ju Wang. Going to present at PAKDD 2019. Beyond Word-level to Sentence-level Sentiment Analysis for Financial Reports, Chi-Han Du, Ming-Feng Tsai, and Chuan-Ju Wang. Going to present at ICASSP 2019. FRIDAYS: A Financial Risk Information Detecting and Analyzing System, Chi-Han Du, Yi-Shyuan Chiang, Kun-Che Tsai, Liang-Chih Liu, Ming-Feng Tsai, and Chuan-Ju Wang. Presented at AAAI 2019. 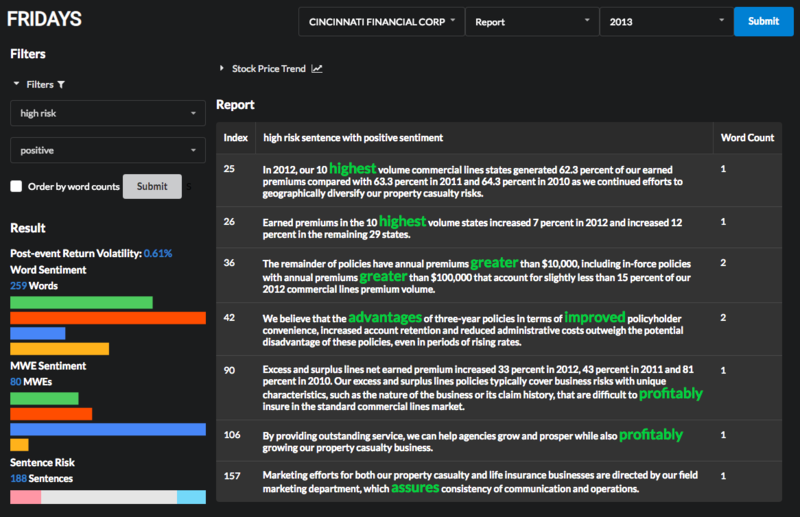 RiskFinder: A Sentence-level Risk Detector for Financial Reports, Yu-Wen Liu, Liang-Chih Liu, Chuan-Ju Wang, and Ming-Feng Tsai. Presented at NAACL 2018. FIN10K: A Web-based Information System for Financial Report Analysis and Visualization, Yu-Wen Liu, Liang-Chih Liu, Chuan-Ju Wang and Ming-Feng Tsai. Presented at ACM CIKM 2016. On the Risk Prediction and Analysis of Soft Information in Finance Reports, Ming-Feng Tsai and Chuan-Ju Wang. European Journal of Operational Research, 257(1): 243-250, 2017. Discovering Finance Keywords via Continuous Space Language Models, Ming-Feng Tsai, Chuan-Ju Wang, and Po-Chuan Chien. ACM Transactions on Management Information Systems, 7(3), Article No. 7, 2016. Going to attend the master program of Computer Science, University of Illinois at Chicago, in Fall 2018. Going to attend the master program of Computer Science and Engineering, University of California San Diego, in Fall 2018. Going to attend the master program of Computer Science, University of Massachusetts, Amherst, in Fall 2017. Going to attend the master program of Computer Science, University of California, Santa Cruz, in Fall 2018. Going to attend the master program of Mathematics in Computer Science, University of Waterloo, in Fall 2018. Going to work at KKStream as an Analyst in November 2018. Lai, Kwei-Herng（賴奎亨） (Research Assistant, August 2017 - December 2018) Going to attend the master program of Science in Computer Science, Texas A&M University, in Spring 2019. We are currently seeking passionate researchers/students to join our labs. To apply for the positions of Research Assistant and Postdoctoral Fellow, please send your C.V. to cjwang@citi.sinica.edu.tw.